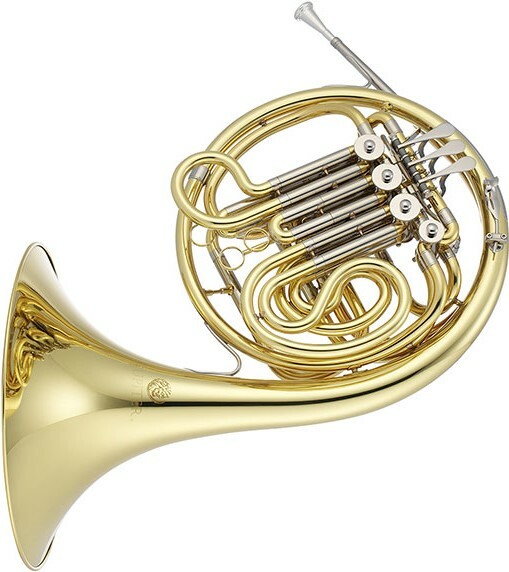 The JHR1100 double horn possesses the tonal color and transparency well suited for any performance. The Geyer wrap reduces resistance and helps produce remarkable volume. With the many professional features, the JHR1100 will take a student through their collegiate education. The JHR1100DQ double horn with detachable bell possesses the tonal color and transparency well suited for any performance. The Geyer wrap reduces resistance and helps produce remarkable volume. With the many professional features, the JHR1100DQ will take a student through their collegiate education. The JHR1110 double horn possesses the tonal color and transparency well suited for any performance. The Geyer wrap reduces resistance and helps produce remarkable volume. With the many professional features, the JHR1110 will take a student through their collegiate education. 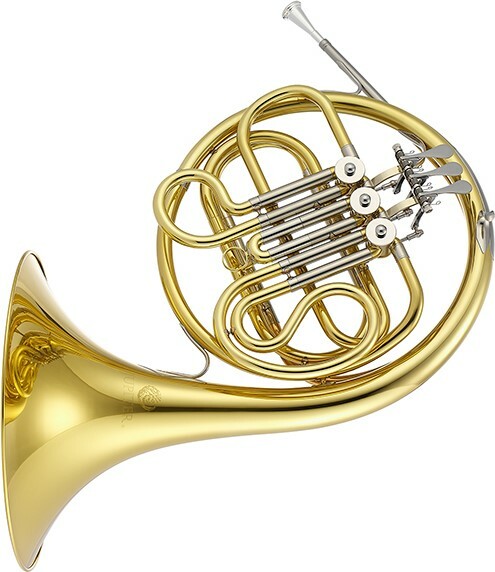 The Jupiter JHR700 is a single horn in F with a rose brass leadpipe, mechanical link tapered rotary valves and nickel-sleeved outer tuning slides. 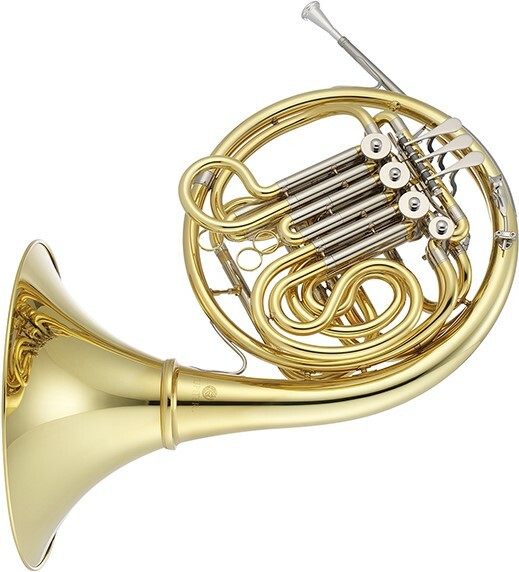 It is a great-sounding, easy-playing horn that should take a student through their beginning stages of musical training.